Sunday 19 May: Open Cycle Ride, along Granite Way on Dartmoor, old railway track between Okehampton and Lydford, approx 11 miles, Meet Cardinham tennis court 1 pm, then head to Okehampton Station, from where we start cycling. Free entry. Contact Les 01208 821591 or Malcolm 821216 for more info or if you want your bicycle(s) carried to Okehampton and back by trailer. Sun 23 June: Tennis and fun open day, at the Cardinham tennis court and clubhouse – all welcome, whether or not you have ever played tennis – games, barbecue, soft drinks, etc. available – bring your own drinks – and if you have one, a tennis racket! If you’d like to have a go on the court, bring soft-soled trainers / tennis shoes. Saturday 25 March, 7 pm: Quiz Evening, Cardinham Parish Hall – with a chilli and baked potato supper (vegetarian option also available) – max four per team – £7 per person incl supper. Saturday 25 March, 7 pm: Quiz Evening, Cardinham Parish Hall – with a chilli and baked potato supper (vegetarian lasagne also available). Saturday 25 June: ClubHouse Day – cleaning up, renovation work, etc. at clubhouse from 2 pm; followed by meeting 6 pm; then barbecue for members 7 pm – bring a banger (or whatever) and bottle (or whatever). 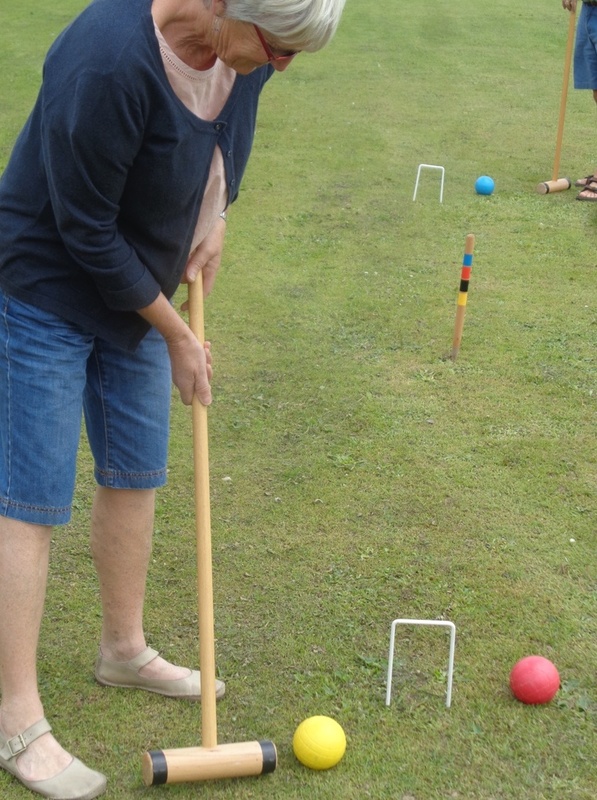 Sunday 31 July, from 1 pm: Croquet afternoon – St Neot Cricket Ground, bring your own drinks and a plate of something to eat/share (we’ll have access to the pavillion there). There will be at least three croquet sets (plus a children’s set), so we can play many games at the same time. If you have a croquet set, do bring it along if you can (let Les know on 821591, or Chris 812409). Adult players will be invited to contribute £1 each towards the donation to be made to St Neot cricket club for the use of their grounds. DIRECTIONS: From St Neot, go east, past the shop, the London Inn and then past the church and fork left up the hill, signposted “St. Cleer, Colliford Lake, Dozmary Pool”. Proceed for ¾ mile and turn right at cross roads, opposite the bus shelter. Ground on left just past the farm buildings. Sat 8 October, 7 pm, SWEB club: Skittles Evening ~ £1 a head, all welcome – members and non members. £1 donation for adults, children free!